The Land of Oak & Iron is rich in local history. This is your doorway to the wealth of information available, much of it through the work of the thriving local history societies in the area. 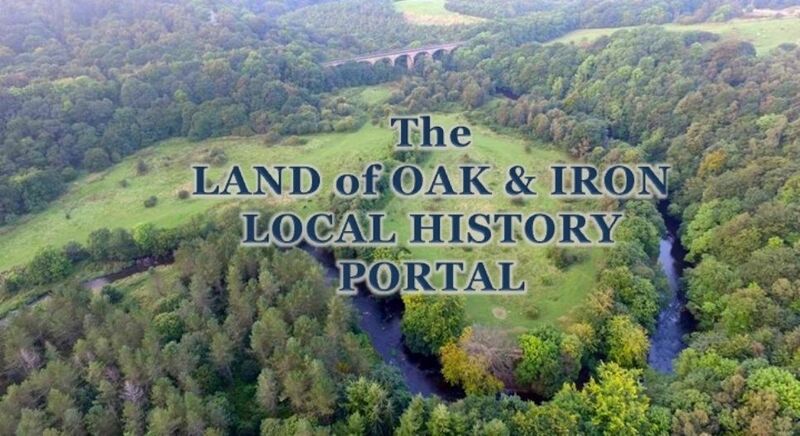 This site is run by volunteers from the Winlaton & District Local History Society. If you would like to be involved, or have suggestions for pages, links or books to be added, please CONTACT US. The River Derwent flows for 35 miles, from Blanchland in County Durham to Derwenthaugh, where it enters the Tyne. The origin of the name of the river is from the Celtic word derw, meaning oak and -went, a suffix meaning river valley. The rich natural resources of the lower Derwent Valley made it an ideal area for developing industries: the advent of Ambrose Crowley and his ironworks in 1691, probably sponsored by Sir William Bowes, marked the beginning of the industrial revolution here. Click on the logo to read about the project.